Not all pets keep the same hours as their humans, and that's the case for rats. Don't fret because your rodent companion is naturally nocturnal. As social creatures who thrive on interaction, they'll wake up for you and play while you're awake, and they'll likely stay active through the night. 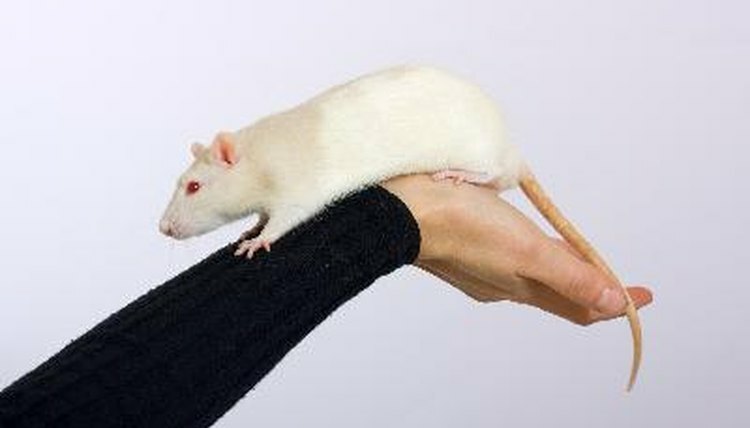 By nature, rats are nocturnal, including domesticated pet rats. They sleep up to 15 hours each day, and they wake up when their wild forebears did -- at night, when there were fewer predators roaming around. The cover of darkness gives rats a bit of camouflage. Although your pet rat doesn't need it for protection, he's still in tune with the night life. Domesticated rats appear to have become more crepuscular than nocturnal, which means they get most active during the evening and twilight hours rather than being truly nocturnal. They still stay up a good bit of the night, but they're more likely to catch a few hours of nighttime sleep than their undomesticated brethren. Just because your rat's internal clock says he should sleep during the day doesn't mean you lose out on all your cuddle time. Your rat enjoys your company so much that he'll happily wake up when you do in the mornings for a bit of play as you get ready, then again in the afternoon when you get home -- particularly if you acclimate him to such a routine. He'll grab enough sleep in the quiet parts of the day and night, so don't worry about disrupting his schedule. He'll change his schedule to match yours, in most cases, unlike some other domesticated rodents. Even rats that are crepuscular or that awaken during the day to hang out with you tend to stay awake during some part of the night. An awake rat is usually a playing one, and that can be a problem if his cage is in your room. Rats aren't loud pets, but they rustle around, climb, chew on things, eat, drink and bat toys around. All of these activities make noise, which is amplified in the stillness of your nighttime bedroom. If you have trouble sleeping with noise, you might want to keep your rat's house in another room. Rat Fan Club: Rats! The Perfect Pet?